EMPLOYEE BACKGROUND CHECKS ARE A CRITICAL PIECE OF ANY COMPANY’S HIRING PROCESS, PERIOD. It should be mandatory to conduct a pre-employment screening to improve profitability and reduce employee turnover. As a Loss Prevention manager, you see daily situations that prove why employee background checks are worth the time and expense! I catch an estimated 120 shoplifters per year. The majority of them have jobs, and many of those jobs are in retail. Do you think they are only stealing from others stores and not their own jobs? Of course not. 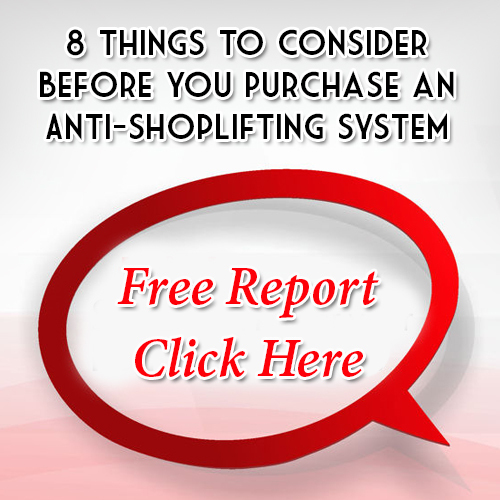 40 percent of the shoplifters had at least 1 prior arrest history with convictions. But yet they are getting jobs left and right without anyone knowing. You would not trust a stranger in your house with your property? Of course not. But we invest so much time in our own stores, and 1 person can wipe us out by stealing, draining profits right under our noses. This causes everyone’s hard work and sales to turn directly into shrink for the company. Applicants do not always tell “all”. They will always say they are honest and trustworthy because they want the job. Instead of just trusting, why not know? Employee background checks are cost effective and will give you that peace of mind. Prevention of a bad situation is way less expensive than fixing a bad hiring decision. I’ve watched this many times with my own eyes, closing out our high dollar employee theft investigations each year. I was once working at a retail location and had an employee who everyone knew and appreciated. The employee had a vibrant personality and everyone really respected her. She was well liked by everyone, including the management team. One Friday evening, I was scanning CCTV looking for shoplifters. It was a slow night and not many people were in the store. I barely saw in the corner of my camera view, the associate really looking through our fragrance bottles. I wouldn’t normally think anything of it, because associates here love to shop on their breaks. However, something was different! The amazing associate that everyone adored, just selected 4 bottles of our very high end fragrance. I decided to do a surveillance to see what was going on. It ran through my head that they could possibly be on clearance, but I could only find out by continuing to watch. Next, she grabs a shirt off of the sales floor, and quickly covers all the bottles of fragrance. Now my stomach turned completely. The vibrant associate was behaving just like s shoplifter! She went to a fitting room with the items, returning with nothing but the shirt and now a shopping bag that she did not have before. I could see the fragrance through the bag, and verified it was not left behind in the fitting room. At the end of the night, she left our store with the stolen merchandise. I apprehended her and had many questions for her to answer. She explained she had been stealing items for the past 2 years, around once a week. I asked her why? Her best explanation was “no one would think anything of me”, and “I thought it was easy”. A well liked employee everyone trusts may not be who they say they are. When we reviewed her file to terminate her in the system, I noticed she did not have an employee background check completed. I didn’t understand why we would not have completed one. Human Resources explained to me that they do not complete a pre-employment screening on the people they hire during the holidays. The well liked employee who has been robbing us blind was a convicted criminal with several prior thefts. I completed an interview on the employee right before we prosecuted her. She admitted to stealing close to $14,000 from us in the short 2 years she worked there. Although we were happy to prosecute and get a thief out of our building, it shows how much money can walk out of your store in a short period of time. We could have stopped this from happening by a quick pre-employment screening before hand. This was just from 1 person, which makes you think about all of the other people we hired during the holidays??? Employee background checks are inexpensive and give you peace of mind knowing what type of person you are hiring. This can ensure that you are not hiring a person who is dangerous, untrustworthy, or just not a suitable fit for your business! For more information about Employee Background Checks, contact us or call 1.866.914.2567.